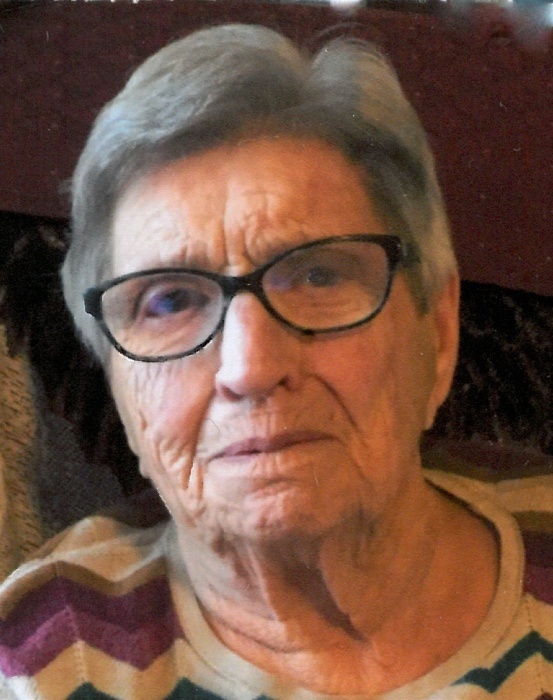 OTTAWA- Frances Salsburey, 98, of Ottawa died at 2:10 a.m. Wednesday, February 13, 2019 at the Meadows of Ottawa. She was born July 11, 1920 in Miller City to the late William and Della (Perkey) Zink. On June 29, 1948 she married Robert Salsburey who preceded her in death May 2, 1973. She is survived by her children, Donna (Mike) Salsburey-Tranovich, Pittsburgh, PA, Ron (Catherine) Salsburey, Glandorf, Jane Heringhaus, Findlay, Judy Clementz, Cloverdale, Donald (Belinda) Salsburey, Columbus, John (Lisa) Salsburey, Glandorf, and Marlene (Robert) McKean, Miller City; 18 grandchildren; and 19 great-grandchildren. She is preceded in death by three brothers, Richard, Willis and Clarence Zink; a sister, Mary Hohenbrink; and two sons-in-law, Bernie Heringhaus and Andrew Clementz; and a grandson, Matthew Tranovich. Frances was a 1938 graduate of Miller City High School. She retired from GTE Sylvania formerly of Ottawa. She was a member of Sts. Peter and Paul Catholic Church, Ottawa where she was a Eucharistic Minister and Lector and a member of the Rosary Altar Society. Frances was a volunteer at church and Calvary Manor Nursing Home, Glandorf and was the director of the senior citizens bus tours. She was Senior Citizen of the year in 2011. The Funeral Mass will be 9:30 a.m. Saturday, February 16, 2019 at Sts. Peter and Paul Catholic Church, Ottawa with Father Matt Jozefiak officiating. Burial will follow in Harman Cemetery, Gilboa. Visitation will be Friday from 2-8 p.m. at LOVE FUNERAL HOME, Ottawa. Memorial contributions can be made to Putnam County Hospice, Ottawa Senior Citizens, and the American Cancer Society.